Switches might not be the most exciting part of building your motorcycle, but they're essential for so many reasons. Whether you're looking for simple horn/headlight dip switches, or handle bar switch assemblies, we have got you covered with this high quality range. 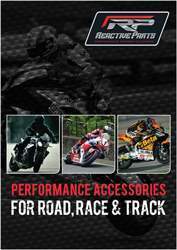 These motorcycle switches are made in the UK and quality tested for performance to ensure reliability.